Maumee Self Storage is locally owned and operated self storage facility. 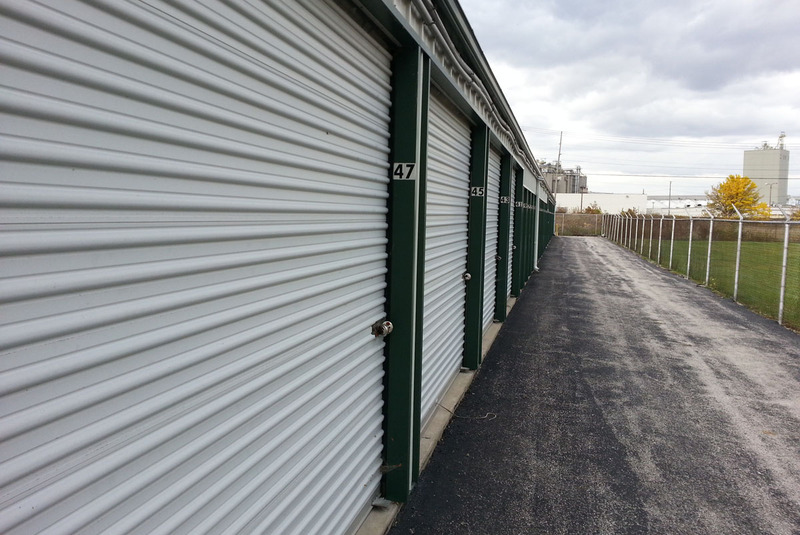 We have self storage units for all your needs including industrial climate controlled units and vehicle parking. 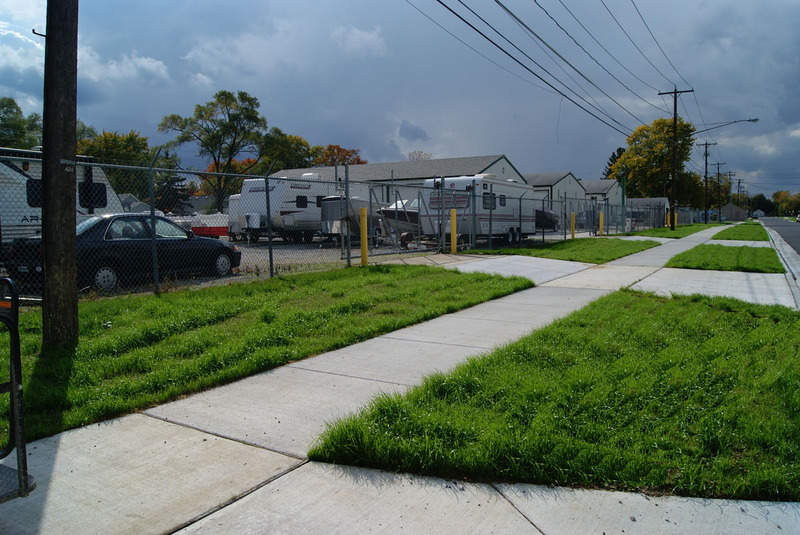 We have a brand new road for you to enjoy on your way to your self storage unit! No potholes! No Bumps! And plenty of parking! 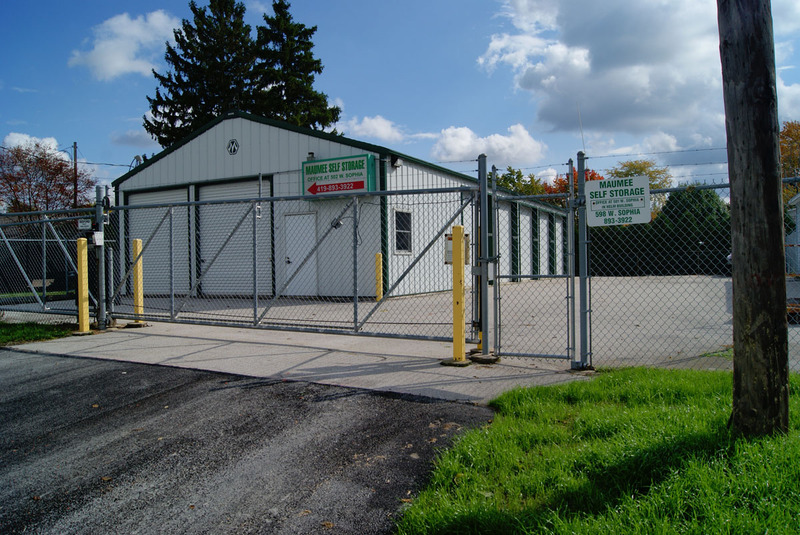 Maumee Self Storage offers a wide range of outdoor storage units that are drive up accessible in areas that are secured with a gated barbwire fence and have security cameras in use on the premise. Our industrial climate-controlled storage units come in two sizes, providing you the flexibility to store all your industrial items that need to stay above 32 degrees. We offer a gated and secure vehicle parking. We can store any type of vehicle up to 25ft such as RV, camper, car, motorcycle, food stand, and more! 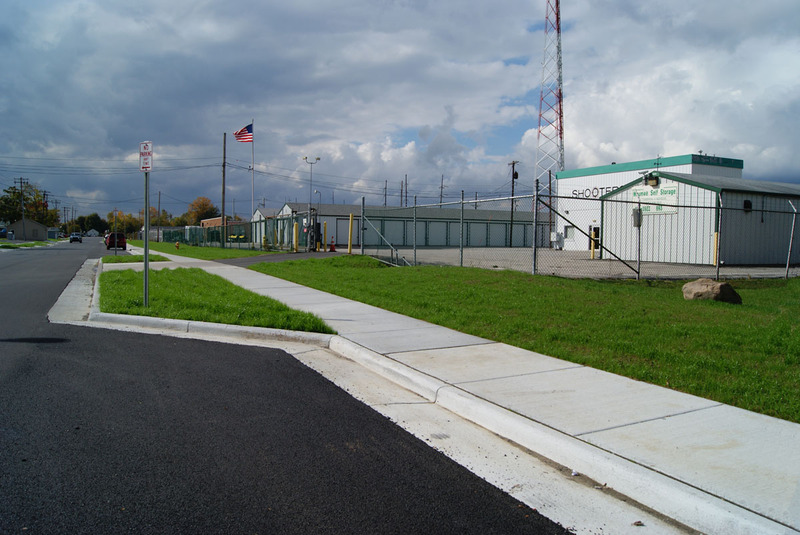 We offer vehicle parking in a gated and secure barbwire fenced in area with security cameras in use. We can store any type of vehicle up to 25ft such as RV, camper, car, motorcycle, food stand, and more! Call us at 419.893.3922 or stop by, click here for directions. You will need a Photo ID, Payment due for first month rent + deposit. 5′ x 5′ (25 sq. ft.) – Will hold a dresser, a small mattress set, boxes and small items, garden tools, or seasonal items. 5′ x 10′ (50 sq. ft.) – Will hold furnishings of a mid-size bedroom, including a queen-size bed, dresser, TV, and a few storage boxes or couch and a chair, dresser, outdoor furniture, lawn equipment, garden tools, bicycles. 10′ x 10′ (100 sq. ft.) – Will hold the contents of an entire family room or two full bedrooms or a small one bedroom apartment. 10′ x 20′ (200 sq. ft.) – Will hold the contents of a two-bedroom house, including a refrigerator, washer/dryer, dining room table, chairs and large boxes. Also may be used to store a vehicle. 10′ x 30′ (300 sq. ft.) – Will hold the contents of a three-bedroom house, including large items such as a couch, bed, fridge, and entertainment center. Also may be used to store a vehicle. 5′ x 5′ (25 sq. ft.) – Will hold the contents of a small office, small desk, book shelf, office chairs, and a few storage boxes. 5′ x 10′ (50 sq. ft.) – Will hold the contents of one office, including desks, bookcases, filing cabinets and large storage boxes. 10′ x 10′ (100 sq. ft.) – Will hold the contents of one – two offices, including desks, chairs, computers and a few storage boxes. 10′ x 20′ (200 sq. ft.) – Will hold the contents of three – four offices, including desks, computers, bookcases and file cabinets and large storage boxes. 10′ x 30′ (300 sq. ft.) – Will hold the contents of five office rooms – many desks, several large boxes, seasonal storage, a few sets of large storage shelves and/or a few pallets of inventory. Use strong durable boxes or plastic storage containers. Especially if you are stacking them. Properly label all boxes or storage containers. Use furniture drawers to hold delicate items or strong plastic storage containers. Wrap them in bubble wrap, packing peanuts, or felt. When packing smaller objects, remember to fill boxes completely, place heavy items towards the bottom of the box and stack. Stuff open areas of the box or container with plain bubble wrap, or packing peanuts to prevent collapsing when stacked. Do not to store anything combustible (such as paint and chemicals) or perishable (such as food that is not permanently sealed). Please ask for a full list of items that cannot be stored. Clean furniture, boxes and the storage unit of all food and perishables. When storing equipment such as lawn mowers or snow blowers read and follow all manufactures storage guidelines. Use trash cans or other tall storage containers to store shovels, hoes and rakes, etc. Always use high quality locks on your unit. We sell locks on-site; ask for details. When storing delicate items, ask an expert how to properly store the item. Store furniture carefully on treated boards or pallets. Place plastic between furniture and boards or pallets. Cover mattresses and store them flat on level surfaces. Break down items (such as table legs) and store large furniture (like tabletops and sofas) on end to save space. Use protective covers and treat wood surfaces before storing. Keep frequently used/access items towards the front of the unit for easy access. Organize your items you with to store. Pack frequently used items together. Label each storage container – list what items are in the container on the container for easy reference. If you need help picking out the right size unit, just ask! Pick a unit that will meet your needs now and for the future (6-9 months out). Pick a unit that will allow you to access most of your items easily. Front to Back – frequently accessed items in the front to non frequent in the back. Top to Bottom – if you are stacking items, stack heavy items on the bottom and lighter items on the top. Stack and arrange items for easy access. If possible create isles and access passages through your items. Pick strong durable boxes and storage containers. Pick the right storage container for the item or items being stored. If you are not sure just ask! Wrap fragile items in bubble wrap, felt, or packing peanuts. Don’t over fill boxes or containers. If the box is too heavy you can hurt yourself moving the container or when stacking the container it could crush the containers below it. Using boxes or containers of the same size and shape for easy stacking. When choosing box or container sizes, keep in mind what the container can store and how easy the container will be to transport; choose smaller boxes for books and heavy items, and larger boxes for linens and clothing. Secure both the bottoms and tops of boxes with quality tape. Pack dishes and glasses in Dish pack and glass pack kits (boxes that come with cardboard dividers and foam pockets for easy packing; plastic, fabric-lined dish storage containers). Cover all furniture and mattress. It is not recommended to seal furniture and mattress with plastic cover for long-term storage as moisture can promote the growth of mold and mildew – a canvas tarp or sheet is recommended for a storage period lasting more than a week. Change all fluids to clean out all dirt. Remove most of the gas from the tank and add stabilizer to the amount that is left. – For indoor storage high amounts of gas or other flammable or combustible fluids are prohibited. Clean the vehicle both inside and out. Be sure to remove any perishables or items that maybe deteriorate over time. Make sure the tires are properly filled. If possible hook up a battery charger or start your vehicle every 10-15 days. Fill the gas tank and add stabilizer. Place treated wood planks under each tire. Cover the vehicle with a quality vehicle cover or cover the inside of the vehicle with an inside vehicle cover. Cover the tires with tire covers or a good UV resistant tarps. Maumee Self Storage is locally owned and operated self storage facility. We are invested in our community as long time residents and business owners, we care about our neighbors and friends. We offer a wide range of self storage units to meet all your self storage needs. We also provide vehicle parking in a secure gated lot. We want to keep your personal and business items safe and secure. That’s why we take security and personalized customer service very serious. Our facilities are gated, fenced and have security camera. Stop by or call! We are here to help and provide the best service for all your storage needs.